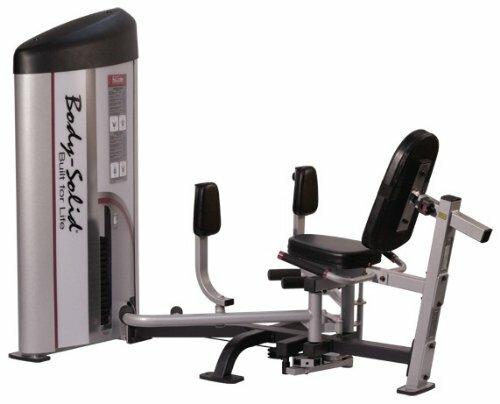 Body-Solid Pro Clubline Series II Inner and Outer Thigh Machine - Designed to provide an intense workout while eliminating strain, the Pro Club Line Series II pieces are hard to beat. Easy and convenient step in entry makes getting started a breeze. Thick, comfortable DuraFirm pads reduce fatigue and discomfort allowing you keep working out. Rock solid support and stability is delivered via heavy-gauge steel frames with all-4-side welded construction. The fully shrouded weight stack offers a safe and attractive machine that is sure to be a hit in any commercial gym facility.